ALIGARH, India ‒ The American University of Armenia (AUA) Turpanjian School of Public Health (SPH) is proud to share that Dr. Karthiga Vasudevan (MPH ’18) was awarded Best Oral Presentation at the XXI Annual Conference of Indian Association of Preventive & Social Medicine, Uttar Pradesh and Uttarakhand State Chapter ‒ held on October 26-27, 2018, in J.N. Medical College, Aligarh Muslim University. 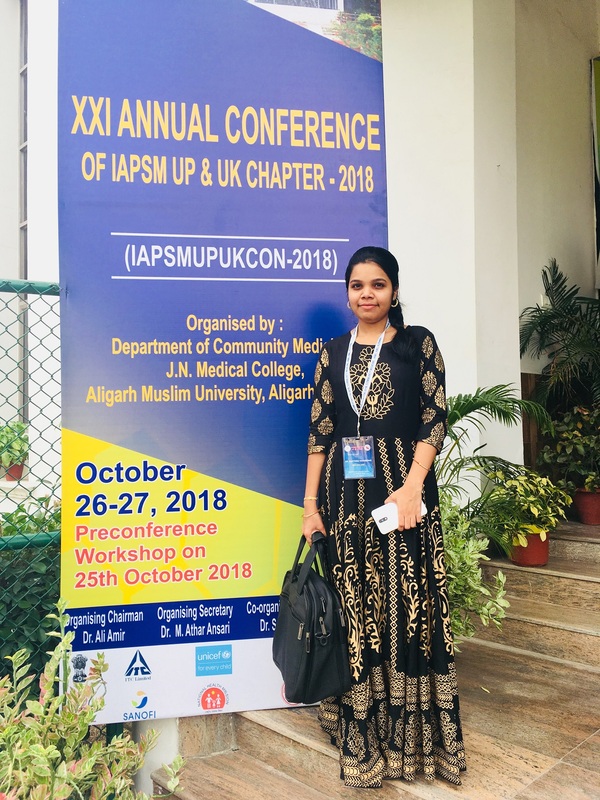 Following a highly competitive selection process, the conference committee selected seven papers for presentation by postgraduate students from several medical universities in India. 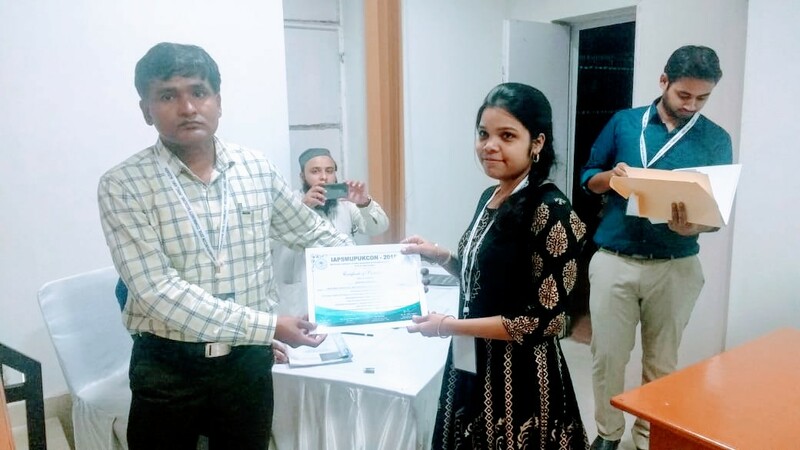 Dr. Vasudevan’s presentation, titled “Knowledge, Attitude, and Practice on Cervical Cancer and Screening Among Women Living in Tirukalukundram, Kancheepuram District, India,” was co-authored by Dr. Arin Balalian, Nune Truzyan, and Zaruhi Grigoryan. It was based on Dr. Vasudevan’s master’s project which explored the level of knowledge, attitude, and practice (KAP) on cervical cancer and its screening, the KAP predictors for cervical cancer, and the influence of knowledge on the practice of cervical cancer screening among 382 women aged 21 to 65 years.